The National Association of Tower Erectors (NATE) announced today that last week’s NATE UNITE 2018 conference in Nashville, Tenn. set a new attendance record of 1,856 registrants. 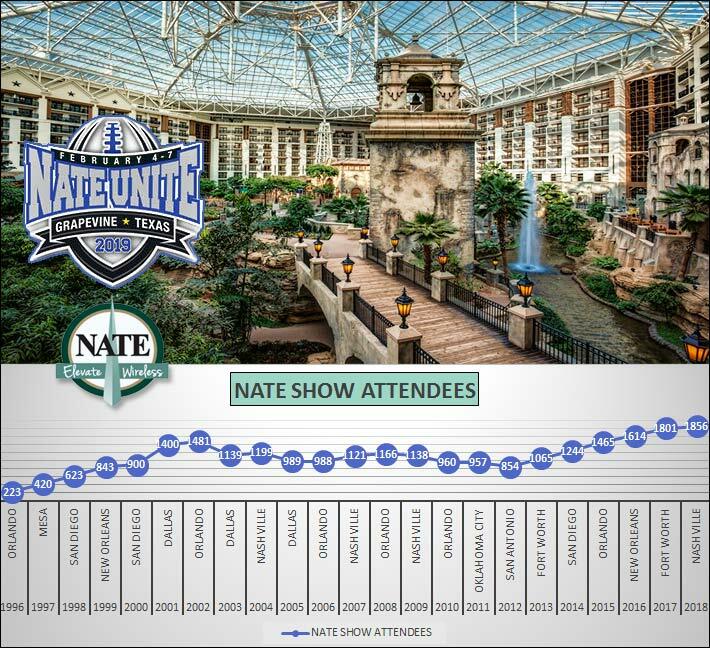 The organization’s all-time conference attendee total in its 23-year show history exceeded the previous attendance registration record of 1,801 at NATE UNITE 2017 in Fort Worth, Tex. NATE leaders also recognized the high exhibitor count of 145 companies and organizations – creating the largest show floor the event has seen. “We are more than thrilled with the overall success of NATE UNITE 2018,” said NATE Events Coordinator Shari Wirkus. “The record-breaking attendance was made possible due to the tremendous sponsor and exhibitor support and the top-notch keynote speakers and educational sessions that were offered,” added Wirkus. This year’s programming for NATE UNITE 2018 consisted of a record-breaking 27 total sessions representing 60 speakers. Wirkus emphasized that the success of the conference each year is through the efforts of the NATE Trade Show Committee and the many other individuals that support the event. “The attendees’ enthusiasm and support also adds to the event’s success,” said Wirkus. NATE’s first conference in 1996 saw 223 attendees. The event almost doubled in attendance the following year and continued to grow, but stalled out in 2012 when 854 people attended the event in San Antonio. In the past seven years its hockey stick growth has been phenomenal, especially considering that in 2014 the industry slowed considerably when AT&T pulled many purchase orders after the carrier acquired DirecTV. The first Nashville show was held in 2004 and saw 1,199 attendees, followed by its second show in 2009 that had 1,138 registrants. Nine years later, last week’s conference witnessed a 63% increase of wireless industry professionals in the Music City. Next year’s conference will be held in Grapevine, Tex. For exhibitor information, click here. 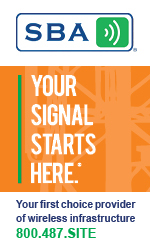 With more than two dozen shows targeting the wireless infrastructure industry, NATE is the only association that releases its attendance records. Other organizations will state that they had ‘record’ registrants, but decline to identify an actual count.